Hi loves! Today's post is on Nabla Blossom Blushes (3.5g, 10.50 euros). I bought these when they had a sale (40% off) and now I have all their blushes in my collection. 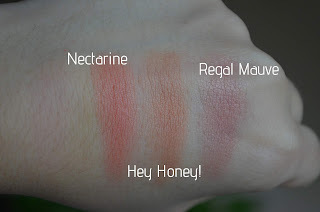 I picked up 6 shades: Nectarine, Hey Honey!, Regal Mauve, Beloved, Impulse and Daisy. 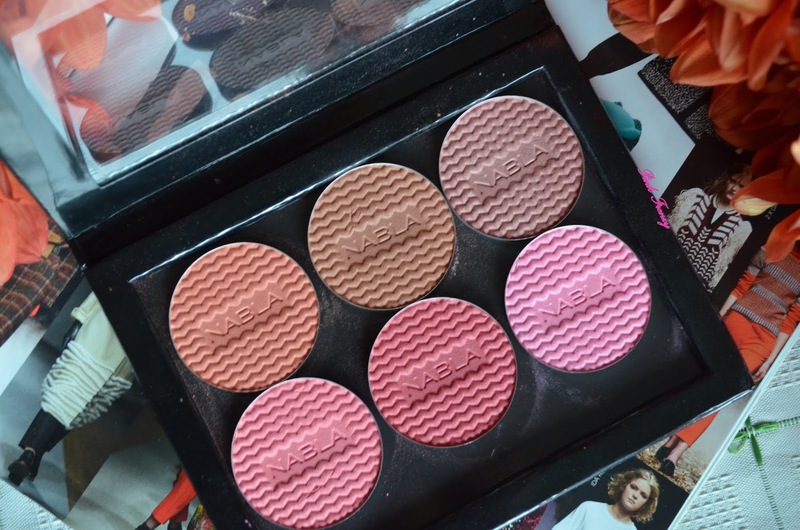 The blushes did come with the palette and they fitted in the palette perfectly. I like it has a clear lid, is sleek and closes magnetically. Its also plus I can see the what I have in the palette. These blushes are not new to their collection, but new shades to me. The powders are beautiful and silky smooth to the touch. The formula is buildable and blends into the skin beautifully. I'm in love with the shades and I have something to wear any occasion from bronzy summer looks to something more pinky. Nectarine - is a beautiful peachy shade with matte finish. 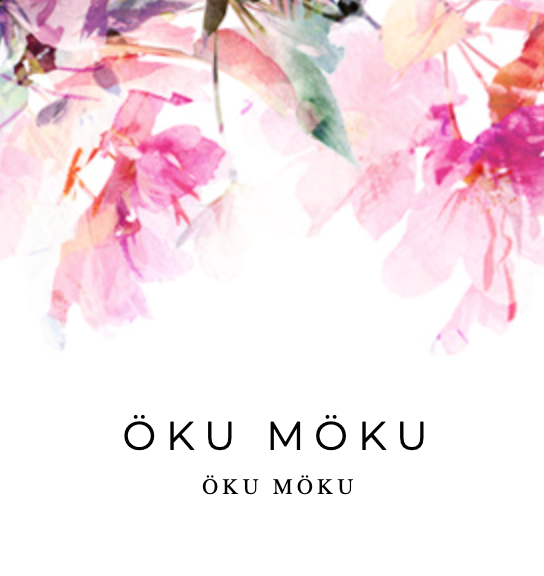 Its perfect for spring and summer. Hey Honey! - is a matte peachy brown shade. Its also beautiful to wear on summer. Regal Mauve - has a satin finish. Its rose gold mauve with warm base. It looks beautiful this time of the year. Beloved - is a matte medium coral pink. I find its more pink then coral though. 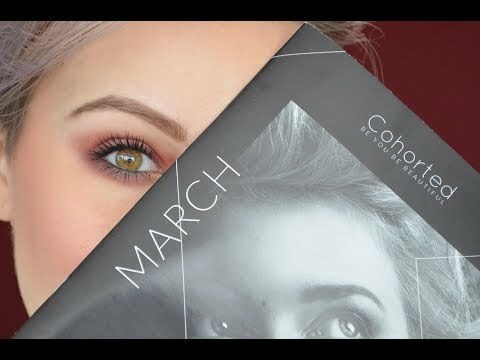 It makes my makeup always look fresh! Impulse - is a matte rosy red with blue undertones. Perfect for that natural flush we get on winter. Daisy - is a matte cotton pink. It has been my everyday blush color, so beautiful. 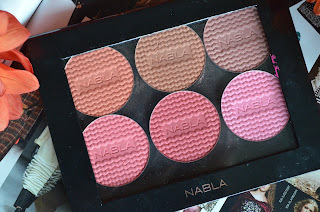 I'm more then happy with these Nabla blushes. They are beautiful and every single one of them has the same good quality. These stay put all day without getting patchy. As always they didn't disappoint. These shades looks so pigmented Laura. Wow, they are intensly pigmented! 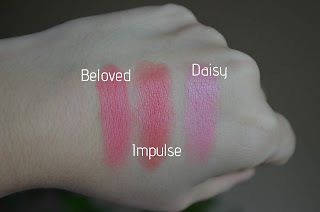 Especially the bottom row looks way more intense swatched than I would have thought. These colours are so pretty!! The pigmentation is intense! And you chose some really gorgeous colours too!